Driver’s licenses are classified by the gross vehicle weight rating (GVWR) of the operator’s vehicle. A driver seeking a basic license to operate a car in Illinois is issued a Class D license. Class C — Any motor vehicle with a GVWR of more than 16,000 pounds but less than 26,001 pounds, or any vehicle towing another with a GVWR of 10,000 pounds or less or any vehicle designed to carry 16 or more passengers, including the driver, or hazardous materials that require placarding. This does not include motorcycles or motor-driven cycles. Class D — Any motor vehicle with a GVWR of 16,000 pounds or less, except those vehicles requiring a Class A, B or C driver’s license or an L or M motorcycle license Class L — Any motor-driven cycle with less than 150cc displacement. Class M — Any motorcycle or motor-driven cycle. NOTE: Holders of a Class D license may operate rental vehicles up to 26,000 pounds when transporting their own personal property or that of an immediate family member for nonbusiness purposes within the State of Illinois. The driver is required and should be provided information to successfully complete a safety course regarding the safe operation of that vehicle from the rental company. Probationary License — Issued in conjunction with a driver improvement activity that grants full driving privileges during a period of suspension for a driver age 21 and over. The license may only be issued to a person suspended for three moving violations in a 12-month period and cannot be issued for more than three months. Restricted Local Driver’s License — Issued to a driver who lives in a community with less than 3,500 residents and drives only within certain areas of the community. See also Special Illinois Driving Permits for drivers who had their licenses suspended or revoked. 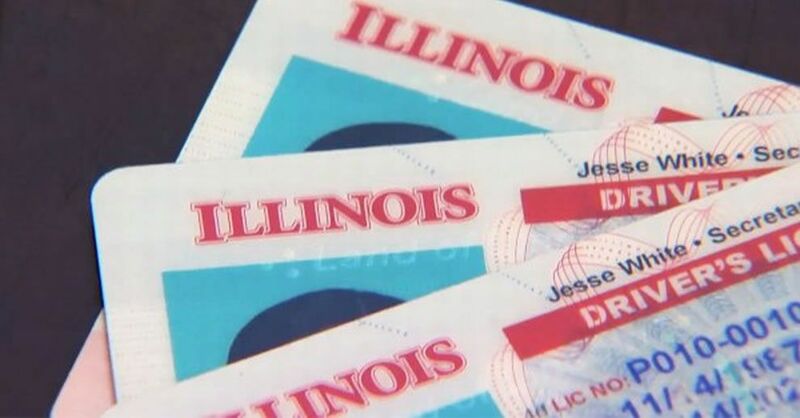 This article about Illinois Driver License Classifications was last updated in 2019. If any of our information is incomplete or outdated please let us know. Thank you!